Search our online library of technical notes and support white papers. Get your product serviced by one of our factory certified technicians. Download the latest software for your products. See the approved storage media for your products. 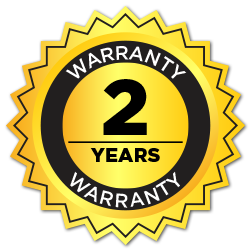 View warranties for all Sound Devices brands. A question we often hear in Technical Support goes something like this, “I’ve cranked up the gain of my [pick a Sound Devices product] microphone input and it sounds noisy. What gives?” The short answer is, “that is a meaningless ‘measurement’”. The long answer is far more interesting for those who want a better understanding of microphone preamplifiers. Performing a valid, meaningful measurement of microphone preamplifier input noise requires more than “cranking open” an input and listening in headphones. Sound Devices products are typically used for location recording of film, television, and broadcast audio. The internal drive of the 788T and 788T-SSD can be removed and replaced if the drive is damaged, a different capacity drive is required, or if upgrading to a Solid State Drive (SSD). In typical service conditions Sound Devices recommends hard drive replacement once every three years. Video Tiptorial demonstrating how to install the Windows ASIO® driver on our MixPre Series recorders. In this video, we also explain why a user would need the ASIO driver and how to properly download it from Sound Devices' website. Detailed instructions on how to replace the Time-of-day battery for the 788T.